A personal rant. Running around all these National Parks here in the US with a camera and tripod one meets and talks to a lot of other photographers. I guess as in all things life, some are great people and fascinating and inspiring…some not so much. At Momument Valley I met 3 guys absolutely packed with very expensive gear complete with camera vests and survival gear. They couldn’t spot a composition if it was bended in neon for them so they spent all their time trying to outdo each other with gear talk boring me to tears. No, I simply do not care how much headroom RAW has nor do I care how much you are bracketing, HDR processing it, genuine fractals blowing it up etc. etc. It boils down to: it’s the photographer never the camera. Why are you shooting this? What are you trying to express? What made you choose that composition? How are you using the light, foreground, middle ground, background, leading lines, colours, contrast? What do you want your viewers to feel when viewing this? What are your favourite locations? The artistic not the technical side is the interesting part for me. Better post an image as well, this is what I shot while some of the gearheads in Monument Valley discussed bracketing and RAW headroom. Of course, they might have shot something much better, I hardly broke the world record for best composition (actually it’s stolen from Art Wolfe). But I at least kept quiet and enjoyed the sunrise while shooting. Somewhat ironical this post comes right after I wrote a post on mirror lock up, purely technical – Not saying I am any better myself, just as boring! Still the next person to ask "what camera are you using" I’ll reply "Polaroid. It’s a polaroid!" Man was born in the desert. Desert is home. The words are Bruce Chatwin, I heartily agree with him. No landscape could be more alien to a Danish farm boy like yours truly and yet at the same time be so fascinating and possess a strange power. Desert is home. 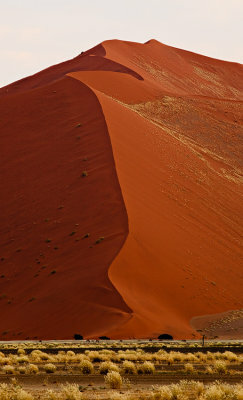 I have just spent 4 days in the Namib desert. I am lost for words. To say it’s magical does not come close. I have never seen nor experienced anything like this. Even the vast outback of Australia seems a little smaller, a little less empty. The Namib desert is the oldest in the world with the largest sand dunes, up to 400 meters tall and it does truly boggle the mind to see these. 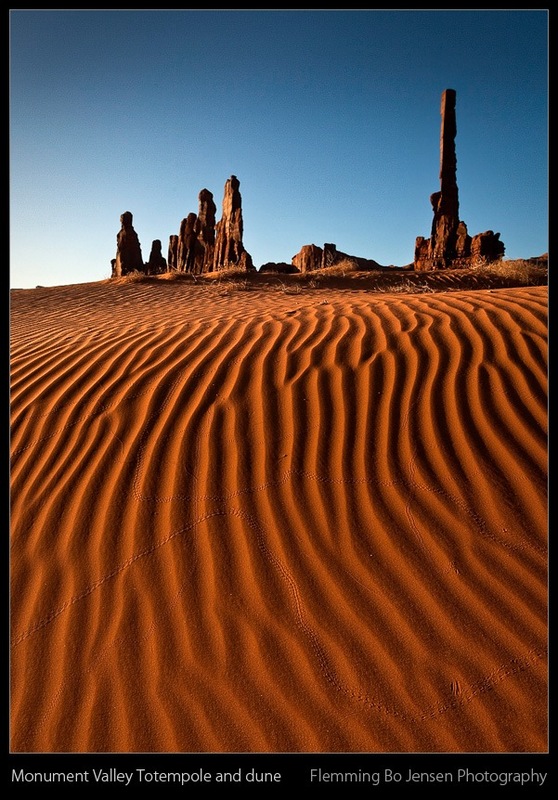 But as spectacular as the dunes are, they are just one part of the whole Namib desert experience. We drove from Swakopmund to the sand dunes of Sossusvlei for a 3 night bush camp. On the map it does not look like much. In reality it is a 8 hour 360 kilometre road trip on bone rattling corrugated roads through the most incredible ever changing desert country. 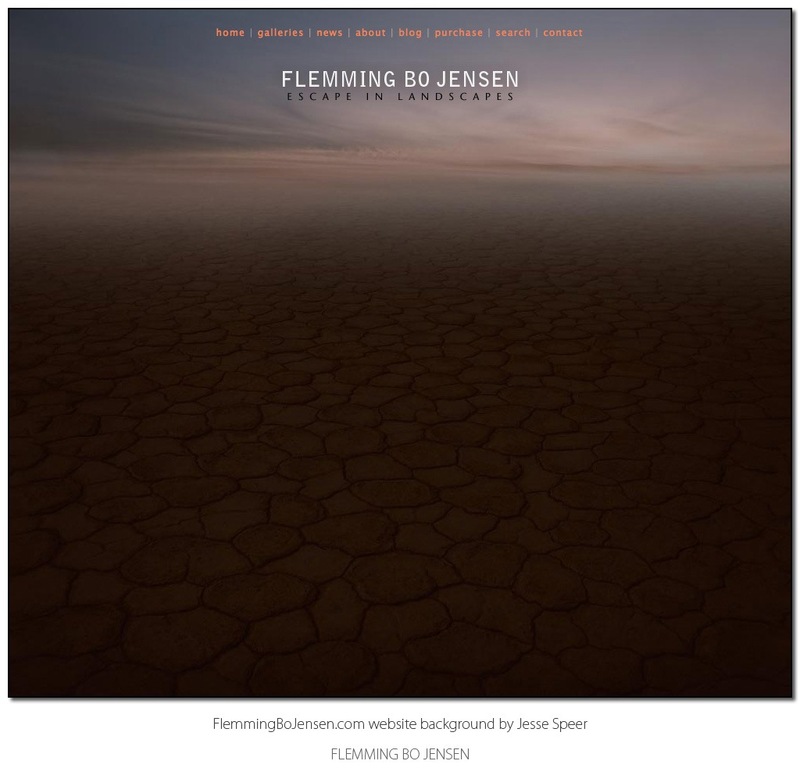 Sometimes a moon landscape, sometimes ancient mountains, sometimes wide open desert plains with perhaps a herd of springbok. So much space. Namibia is a huge country with a population of only 2 million. So much space. You could easily loose the entire country of Denmark in the desert and never find it again. You could also easily loose yourself. So much space! I really am lost for words and also time, so for now I’ll just leave you with a few very quickly developed jpeg previews from Namib Naukluft National Park. Shooting here was a fantastic experience and difficult, will be the topic of many a forthcoming blog post. The Canon 5D Mk II performed perfectly and I seem to just attract good light and interesting clouds at the moment! Dead tree at Deadvlei on a morning with extraordinary cloudscapes. I was so lucky this morning, nice soft light, beautiful clouds where as the norm is boiling hot harsh light from a blue sky. 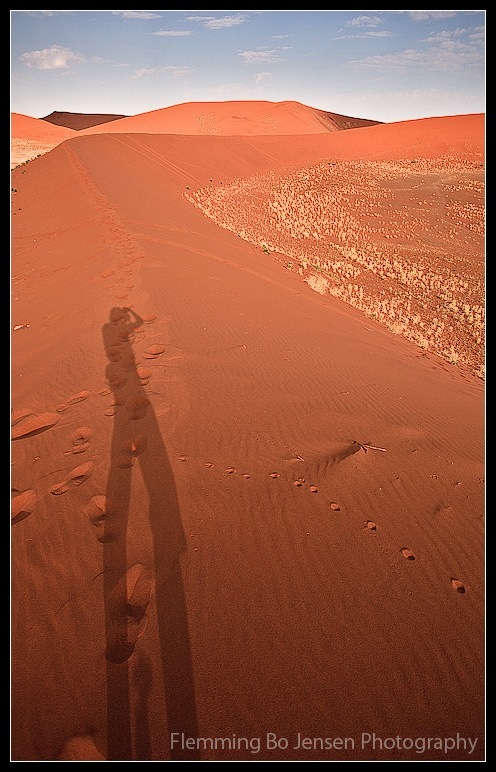 And lastly, me & my shadow at work in the dunes. No I am not scratching my head! Spare batteries for the Canon 5D Mk II are impossible to find, so it’s fortunate that the battery performance is brilliant. Managed over 1000 shots on a single charge! In the desert we were stopped by a Namibian police officer. He was lost. An accident had been reported, 150 km out of Swakopmund towards Windhoek (which was not the road we were on). Had we seen the accident he asked (no you’re on the wrong road). Oh and did we have mobile reception because he didn’t (no of course we didn’t either and I can’t believe he doesn’t have a sat phone). And had we seen his mate in another police car because he had lost him as well by outrunning him (no to that as well). My friend had to show him a map and really spell out directions for him. He thanked us and we drove on, a few minutes later we met his mate, the other police car, coming towards us, and a few minutes after that, the ambulance. I hope the people in the car crash were ok or dead or they’d be suffering for a long time. My friend tells me that was an insight into how the government can work here. Oh btw the amount of idiots doing 120 km/h on the corrugated dirt road are staggering. No wonder there are accidents! Forgot my torch. I own 2 expensive torches and forgot them both. A torch is the essential item for camping, can’t believe I forgot them. Bloody city boy I am turning out to be! Namibian mozzies are stealthy bastards. Don’t hear them. Don’t feel them. Until you wake up with 10 new bites! Promptly installed a mozzie net over my sleeping bag on day 2 but still slept outside under a million stars, the only way to camp! Hospitality and friendliness of my Namibian friends, the family Eckleben is overwhelming. I can only offer a million thanks. I am now installed in my own house in Swakopmund and have my own bicycle to get around (incidentally also runs and feels like a tractor!). I truly am Bicycle Repair Man – a select few will know what I mean. And sorry for lack of responses! I am online very little, so no emails etc. at the moment and few updates. Actually it’s nice to be offline for a while, kick the internet drug for a bit. Concentrate on photos and experiences. See ya! I recently purchased a Heliopan 10 stop ND filter. This particular filter is almost akin to a dark hole in the universe although it does not consume you or open a worm hole if you look into it (I did, nothing happened. Disappointing). It lets in a mere 0,10 % of available light! This allows for very long exposures in full daylight, so you can blur moving elements like clouds, water, traffic. I bought the filter as I felt it is an interesting way to add otherworldly effects to daylight shooting. Also; I hear there’s a huge market for long exposure waterfall images so this filter should be a money maker! Sunday provided some amazing storm clouds and some sunshine no less so I took the filter out for a test. Looking through the viewfinder is the dark hole; you are blind. So how do you focus and compose? Well, you either do it before attaching the filter – or if you own a camera with LiveView you simply use this incredible feature! The Canon 5D Mk II liveview just rocks, it is truly a spectacular thing and can see in the dark. 1/1000th of available light? No match for liveview! Even though the viewfinder is pitch black, liveview perfectly simulates a 30 second exposure and shows you the result on the 3” lcd complete with live histogram and no worries. Too easy! It is astounding that 0,1 % of light is enough for the liveview sensor. Ansel Adams would have loved liveview, he worked with huge manual view cameras at small apertures, composed using ground glass, and tilted the focus plane to get everything in focus. Takes a lot of experience to get this right. Except for focus plane shifting, by pressing a button we now have this live simulated with live histogram on a 3” lcd screen. I can even zoom in on the liveview image to check focus. Too easy almost! This shot from Copenhagen Harbour was composed and exposed using liveview. With the 10 stop ND filter attached, this is a 30 second exposure at f/16.0 – in the middle of the day. Viewfinder is useless but using liveview the image on the lcd was clear as day. Colours were not interesting in bland midday light, a much more dramatic result to be had from a black and white conversion in Lightroom. Here the bright light actually helps, lending contrast to the image. I added a strong vignette and duotoned the shadows a dark brown. Notice the water and the clouds shows the effect of 30 seconds exposure with the 10 stop ND filter. PS. Would the persons owning the two boats to the left and right of the above view please move their vessels? I wanted to stitch a panorama wider that this but the bloody boats are in the way!